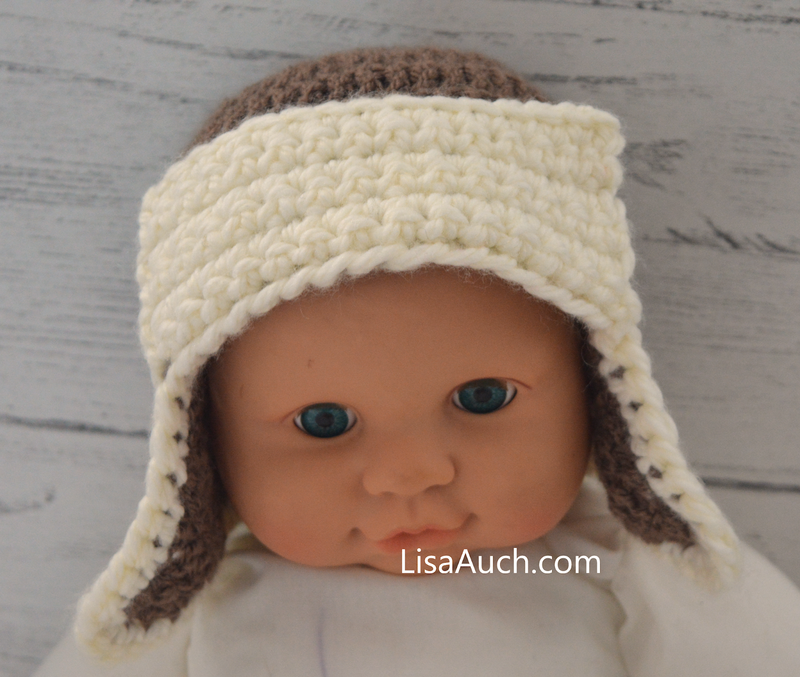 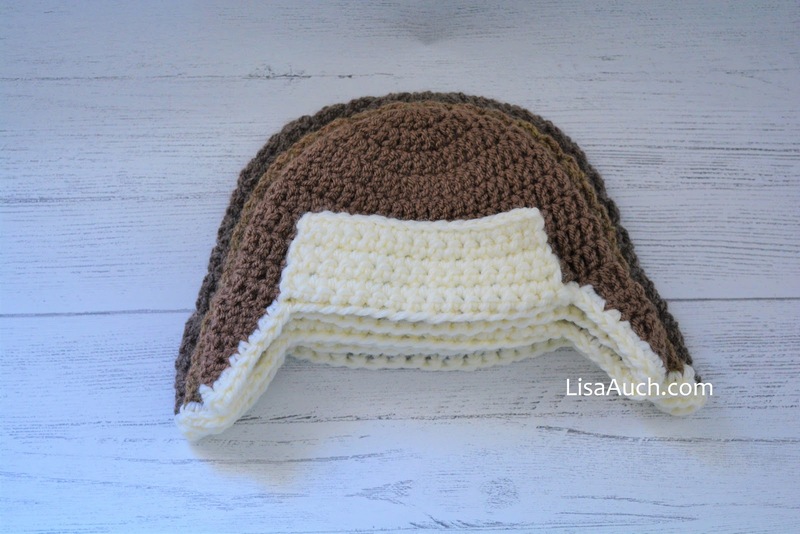 I was getting asked for slightly larger crochet baby hat patterns especially for boys, most were requesting a style just like the aviator style hat, with Earflaps, and of course, easy for those beginning at crochet. To be honest, if you are progressing from basic beanies and hat patterns then its just a little step up from easy baby beanie crochet hat pattern, just adding on the ear flaps and a flap at the front, turning it up and adding 2 buttons to hold the flap in place. 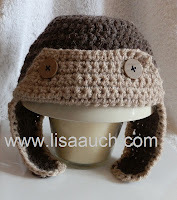 Pattern: for Child's Aviator Hat with Earflaps. Repeat from * to * of the left ear pattern portion for the right ear. 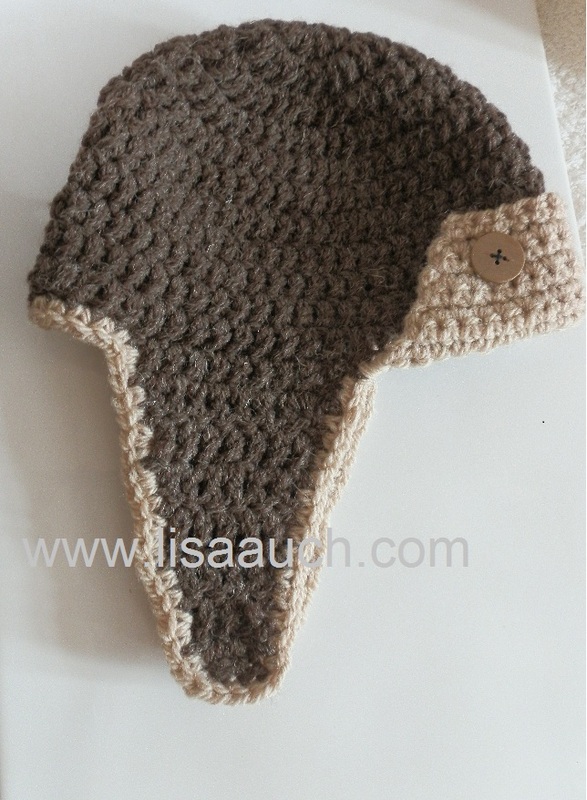 Join and fasten off and weave in loose ends.